Here’s a sneak peek of two upcoming special edition models from Seiko Prospex that are due to be released this March under the name Blue Lagoon. 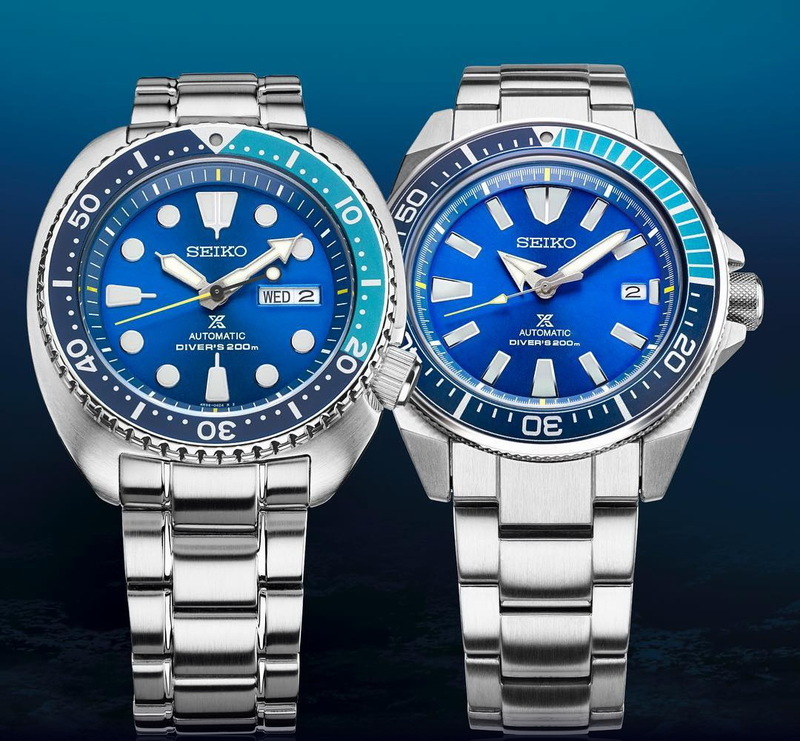 Both models are to be numbered Limited Editions of popular Samurai and Turtle models – with two-tone blue color palettes which are very much in vogue for 2016 / 2017. 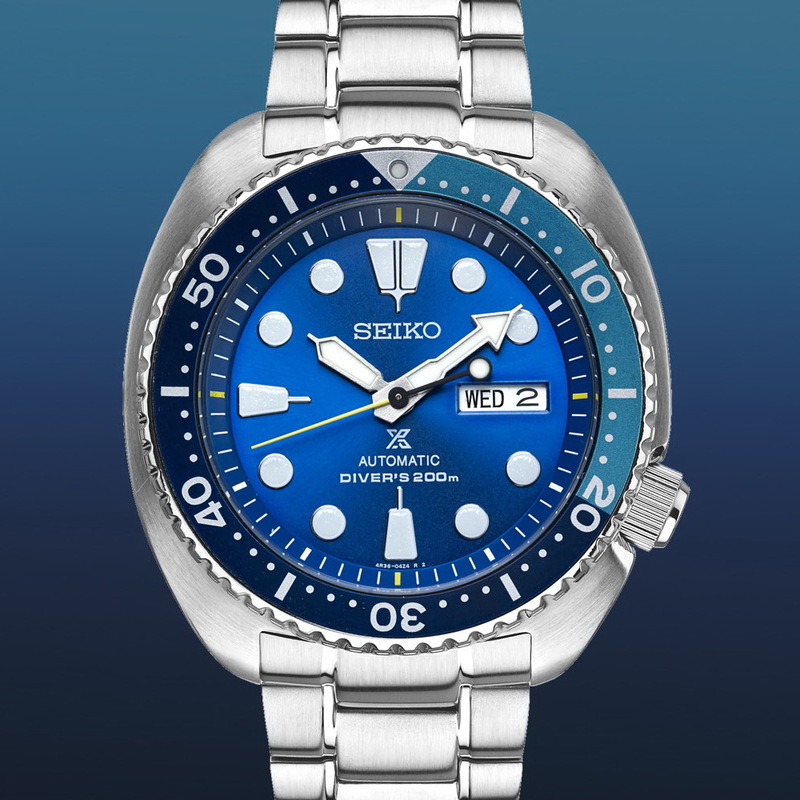 The Seiko Prospex 200m Ref. SRPB09 AKA Samuari Blue Lagoon with its 43.8mm Stainless steel case will be priced 550USD. 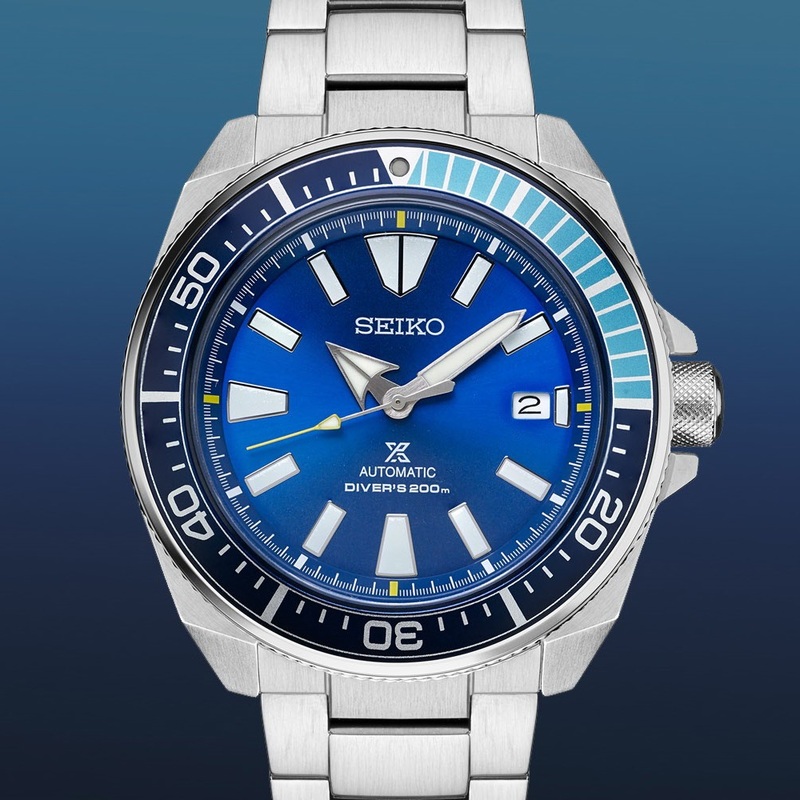 The Seiko Prospex 200m Ref. SRPB11 AKA Turtle Blue Lagoon with its 43.3mm Stainless steel case will be priced 575USD. Like I said, this is a sneak peek, so I don’t have any further details at the moment.